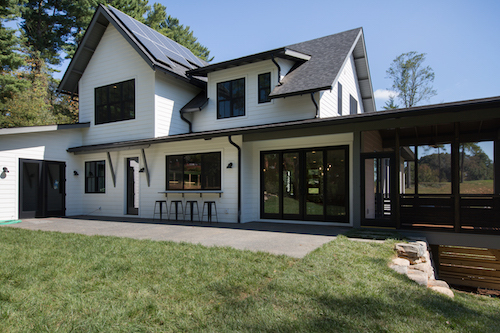 For two weekends in October, the Asheville area’s world-class custom-home market will be on display, with more than 35 newly constructed projects open to the public. Free self-guided tours will be available during the Asheville Home Builders Association Parade of Homes held Oct. 13-14 and 20-21, 2018, from 1-5 p.m. each day. The event showcases a variety of craftsmanship styles available for your next building or remodeling project, from modern to rustic to farmhouse. 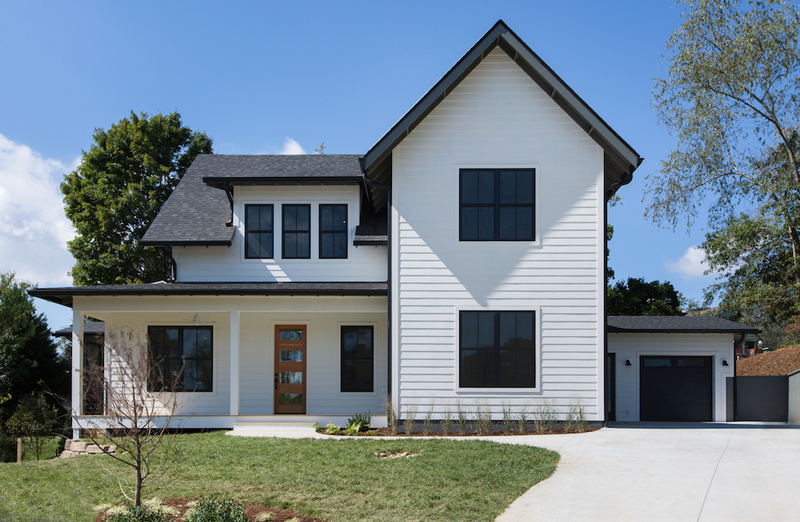 Among the homes featured will be JAG & Associates Construction’s meticulously crafted custom green build in West Asheville’s “newest old neighborhood,” Malvern Walk. High-quality features woven throughout the 4-bed, 4-bath, 2,752 sq. ft. home, coupled with thoughtful design, make this build a must-see. Highlights include high-efficiency HVAC, water heating and lighting; Photovoltaic Solar System; unique garage plan featuring bike-centric space; open concept floor plan for kitchen, living and dining rooms; and large doors to connect indoor and outdoor spaces. And of course, a major allure of the home comes in its surroundings. Situated within one of the city's original historic neighborhoods, the new community of Malvern Walk is adjacent to the site of the historic Sulphur Springs Hotel, and home to what was once the last stop on Asheville’s first electric trolley. The neighborhood is steeped in the past, yet thoroughly modern, an area enveloped in natural beauty and mountain vistas, with amazing proximity to a wide range of amenities. Boasting broad sky views and an accessible community to delight walkers, cyclists and gardeners alike, Malvern Walk provides the rare opportunity to build a new home in a historic large-lot subdivision. Whether you find building inspiration in this year’s Parade of Homes, or already have your dream home plans in hand, Malvern Walk offers the perfect starting point. Act fast to choose from one of the only 17 remaining lots, all approximately a quarter acre or larger. With all of the groundwork for building already in place- including underground utilities, graded building sites and thoughtful design guidelines- you can start your new construction home quickly by bringing your own builder or choosing from one of Malvern Walk’s preferred green builders. For more information on JAG’s building options, visit http://jaggreenbuilders.com. And to learn more about the Parade of Homes, visit https://paradeofhomesasheville.com. Within minutes of some of the country’s most popular and picturesque state and national forests sits Mills River, a town in the northwestern part of Henderson County stretching northeast to the Buncombe County border and southwest to the Transylvania County line. Sitting 17 miles to the southwest of Asheville, Mills River offers expansive living against breathtaking backdrops, with close proximity to all manner of amenities. Mills River was incorporated as a town in 2003, and has a population of around 7,000. Featuring rolling hills dotted with everything from rambling ranches to newly constructed homes, as well as lots ready for custom creations, the town is a draw for those seeking room to stretch out, but still be within arm’s reach of conveniences. The Asheville Regional Airport and I-26 are mere minutes away. The towns of Hendersonville (8 miles away) and Brevard (14 miles away) are also easily accessible. When it comes to outdoor adventures, Mills River can’t be beat. For water activities, the French Broad River flows through the northeastern part of town, while one of its tributaries, the Mills River, flows through the center of town. 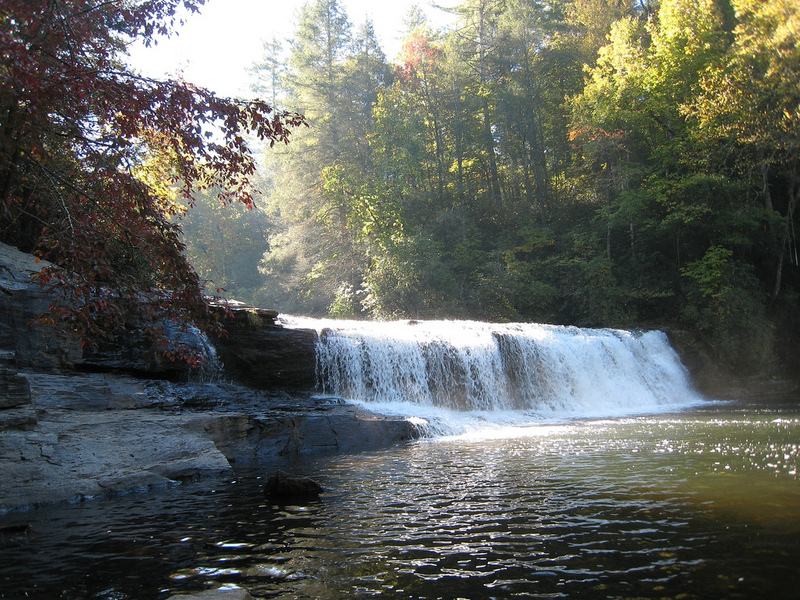 Both Pisgah National Forest and DuPont State Forest are a short drive away, offering daytrips overflowing with waterfalls, hiking paths and mountain biking trails – you can even take a horseback trail ride. The area also boasts renowned destinations like Sliding Rock and the Cradle of Forestry. For world-class music performances, Mills River is just a short drive from the Brevard Music Center’s Summer Festival, which features everything from bluegrass to classical to operatic productions. 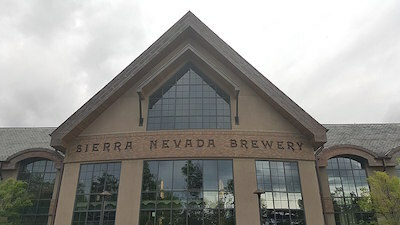 A major boon to the town came in 2014, when Sierra Nevada opened a brewery – its second in the U.S. – in Mills River. The sprawling, state-of-the-art facility and Taproom and Restaurant draw thousands of visitors from all over the region and the world to enjoy tours, tastings and special events, as well as live music indoors and outdoors, in a relaxed family atmosphere. Other popular spots to visit in Mills River include the Mills River Creamery, offering a range of locally made milk, cheeses, ice cream, as well as the Bold Rock Hard Cidery, which has daily tours, tastings, flights and food. 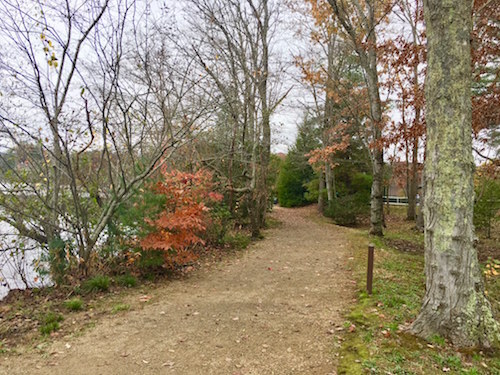 For a personally guided tour of Mills River, or for more information on real estate here or anywhere in the Asheville area, please contact Mike Figura at Mike@MyMosaicRealty.com or call him anytime at (828) 337-8190. Our very own Laura Moye is making her small-screen debut this week! Tune in to “Mountain Life” on Great American Country (GAC) June 25 at 9 p.m. ET to see Laura help her clients, Alesha and Sean – and their dog Bandit – find and purchase their growing family’s first home in Canton. Picture yourself if this stunning historic Lakeview Park home. 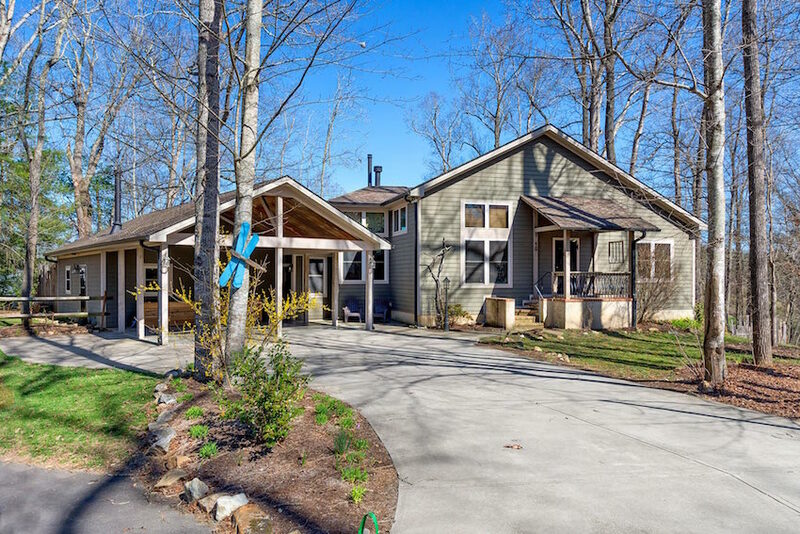 This meticulously maintained two-story granite and block stucco home features incredible views of Beaver Lake and Elk Mountain, and is just a few miles from downtown Asheville. Architecturally designed to maximize natural daylight, the home has walls of east and west facing windows throughout. Chef’s kitchen has Carrara marble countertops, FiveStar Stove, Viking refrigerator, original craftsman tile flooring, and custom cabinetry. Floor plan is spacious with beautiful period details throughout include original crystal chandeliers, oak floors, leaded glass windows, butler’s pantry, and library. Perfect for entertaining inside and out. Multiple terraces, fenced backyard, two car garage, and ample off street parking. Large elevated lot offer views and privacy. Enjoy Beaver Lake’s walking paths, kayaking, and canoeing or walk to library, restaurants, shopping, and more. From downtown Asheville: Merrimon Ave. North to left onto Lakeshore Dr. Turn right onto Lakeview Rd. Home is on your left. Luxurious lakeside living in the heart of the Western North Carolina mountains is the hallmark of Biltmore Lake, a master-planned community of more than 650 homes just 20 minutes southwest of downtown Asheville. The beauty of living at Biltmore Lake is that you can feel like you’re on a mountain vacation every day, without even leaving your neighborhood: Lake and Blue Ridge views abound, as do outdoor activities along Biltmore Lake’s trail system and in and around its lake. The neighborhoods – which feature everything from town homes to cottages to estate homes – seamlessly connect via sidewalk-lined streets, nature trails and idyllic common areas. Residents of Biltmore Lake enjoy a range of onsite activities and amenities, maintained by the Biltmore Lake Community Association. Four miles of hardwood forest and rhododendron-enveloped trails offer plenty of opportunity for biking, running, walking or just enjoying the surrounding nature. There are four campsites alongside the trail system, two adjacent to the lake’s shoreline, and two on Scott’s Ridge’s higher elevation. The lake offers an outlet for all manner of nonmotorized water sports, from canoeing and kayaking to paddleboating and sunfish sailing, all available for use from the Biltmore Lake boathouse. Fishing is also a popular pastime on Biltmore Lake. A sandy beach provides the perfect spot for sunning with a good book. Biltmore Lake also boasts playgrounds, two tennis courts, a basketball court and a clubhouse. The community association hosts a monthly fourth Friday social for neighbors to meet and mingle. In addition, the association coordinates a wide variety of activities for residents throughout the year, from clubs and lectures to live concerts. Outside of Biltmore Lake, outdoor adventures are only a short drive away. 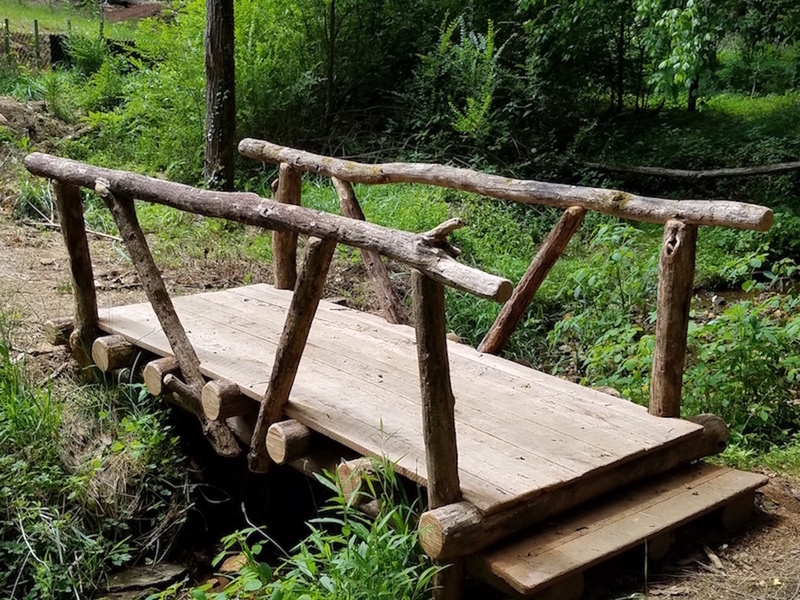 One can take a hike through Pisgah National Forest; enjoy a scenic drive up the Blue Ridge Parkway; or enjoy water activities on the French Broad River. Biltmore Lake residents enjoy amazing proximity to a range of commercial amenities. Just minutes away is Biltmore Park Town Square in South Asheville, a mixed-use center featuring an array of stores, restaurants and other amenities, including Regal Biltmore Grande Stadium, P.F. Chang’s China Bistro, REI, Brixx Wood Fired Pizza Oven, the Reuter YMCA, Barnes & Noble and more. Well-regarded public and private schools, including Hominy Valley Elementary School, Enka Middle and High schools, and Carolina Day School, serve the community. For a personally guided tour of Biltmore Lake, or for more information on real estate here or anywhere in Asheville, please contact Mike Figura at Mike@MyMosaicRealty.com or call him anytime at (828) 337-8190. Malvern Walk, in beautiful West Asheville, North Carolina, is a new community set within Malvern Hills, one of the city’s original neighborhoods. Malvern Walk provides the rare opportunity to build a new home in a large-lot subdivision with broad sky views, sidewalks and great access to nearby amenities. 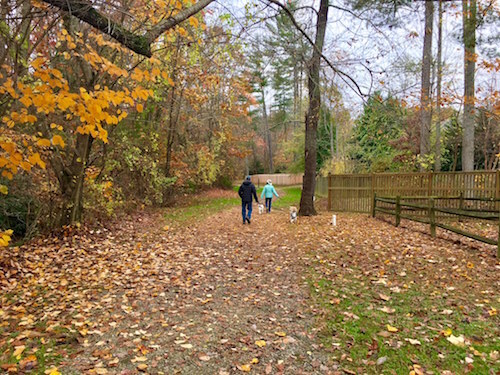 Enveloped in natural beauty and mountain vistas, Malvern Walk is just a short stroll to West Asheville’s vibrant Haywood Road corridor, Hominy Creek Greenway and Malvern Hills Park and Pool. With underground utilities, graded building sites, hand-selected builders and thoughtful design guidelines, building your dream home has never been easier. 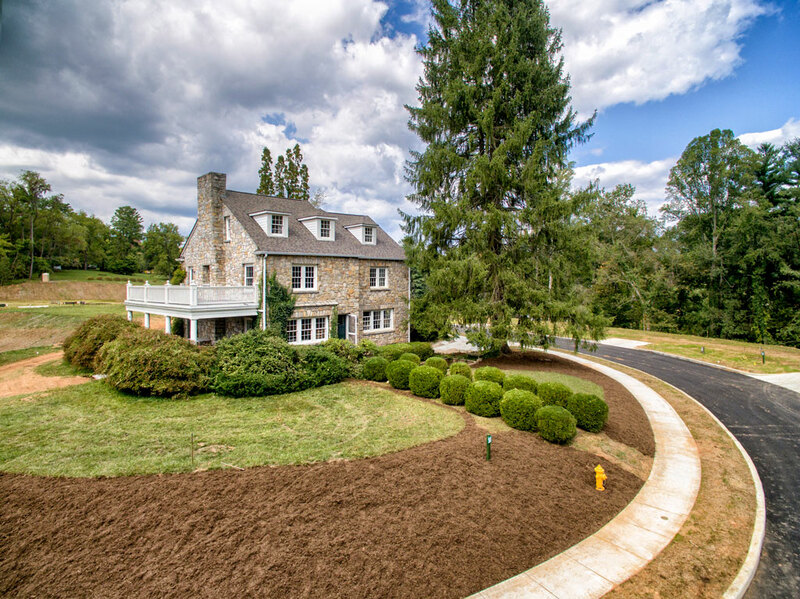 Malvern Walk also offers two existing homes for sale, including the original Far Acres stone house. Malvern Walk is a community for those who want to blend the new with the old. 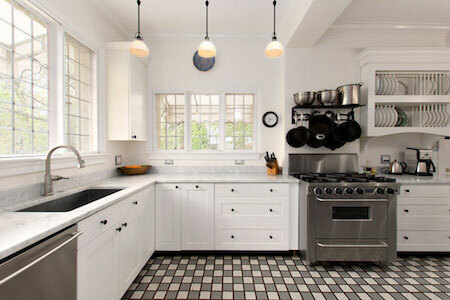 Our architectural guidelines foster designs that are inspired by both modern and timeless building styles. Luxuriously proportioned lots offer the opportunity for generous homes and yards. With quick access to interstates, greenways and downtown Asheville, Malvern Walk offers the best in location without being in the middle of the hustle of Asheville’s urban center; it’s a quieter West Asheville way of life. We invite you to our kick-off event for Malvern Walk on Saturday, September 30th, and Sunday, October 1st, from 1-5pm. At this event, we will be releasing the first fourteen lots for sale as well as the two existing homes. Explore this unique West Asheville community and begin to envision your forever home! If using GPS, you can get to Malvern Walk by using 239 Bear Creek Road, Asheville 28806. Our roads are not yet recognized by Google. From Haywood Road, turn onto Sand Hill Road. Turn right onto Bear Creek Road. Turn left into Malvern Walk. From I-240, I-40 or I-26, take the exit for Highway 191. Turn onto Bear Creek Road. Turn right when it ends to stay on Bear Creek Road. Go through the intersection and up the hill, then left into Malvern Walk. 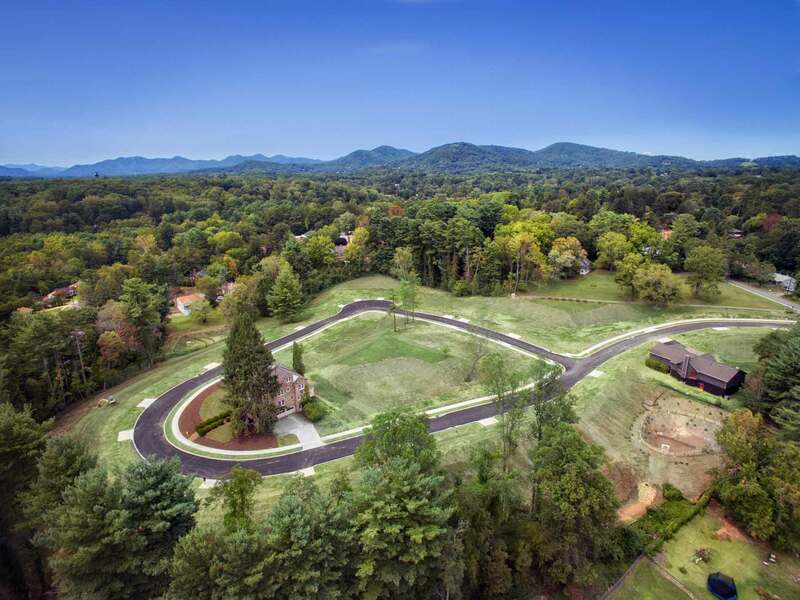 For more information about Malvern Walk, available lots and homes, and design guidelines, contact broker Mike Figura at 828.337.8190 or at Mike@MyMosaicRealty.com. In search of a welcoming neighborhood replete with tree-lined streets, eclectic architecture, and an array of urban conveniences? 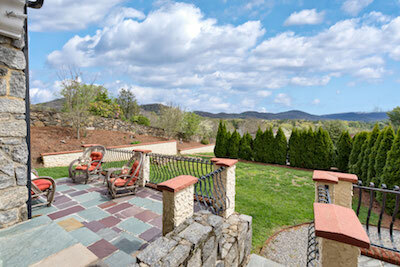 Look no further than Grace neighborhood, just south of the North Asheville community. With the shopping corridor of Merrimon Avenue slicing through the center of Grace, a range of stores, restaurants and other services are within a short walk or drive of the neighborhood’s residences. At the same time, picturesque spots like the hilltop Grace Episcopal Church mingle with the neighborhood’s warmth and easy pace to make Grace feel worlds away from the commercial hustle. Grace is bordered roughly by Kimberly Avenue to the east, Osborne Road to the north, Fenner Avenue and Edgewood Road to the south, and Horizon Hill Road to the west. 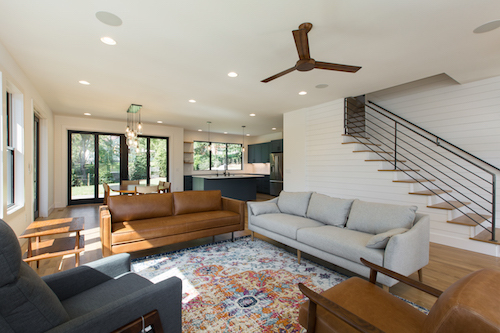 A mix of home designs defines the neighborhood, including stately structures from the 1930s, rambling mid-century ranches, and sleek new construction. Sidewalks line many of Grace’s streets, making this neighborhood one of the most walkable in Asheville. Starting the morning with a quick stroll to the local coffee shop is a pleasure in Grace neighborhood, which boasts popular spots Geraldine’s Bakery and Edna’s Coffee House and Café on Merrimon. For lunch and dinner, neighborhood residents have a slew of options, including Asheville Pizza & Brewing, Avenue M, MOD Pizza and Vinnie’s Neighborhood Italian. Dessert’s covered too, with Whit’s Frozen Custard and Frostbite soft serve ice cream nearby. A quick drive down Merrimon brings residents to a range of grocery stores, including Harris Teeter, Trader Joe’s and Greenlife (Whole Foods), and beyond that, downtown Asheville. The Grove Park Inn is readily accessible from Grace, as is UNC-Asheville, which sponsors a wide mix of cultural and academic events, concerts, lectures, movie screenings and the like year-round. The nearby North Asheville Tailgate Market (which runs from spring to fall) sets up shop on the UNCA campus every Saturday from 8 a.m. til noon. Since 1980, the market has provided visitors with a full range of local, sustainably produced produce, meats, eggs, cheeses, breads, plants, prepared foods and crafts. With more than 40 vendors and over 40,000 annual customers, the market’s energetic and warm environment exemplifies the celebrated diversity of Asheville. For Grace residents, getting a good dose of nature is easy as well, with Beaver Lake and the Blue Ridge Parkway close by. The Botanical Gardens of Asheville, a 10-acre independent, non-profit botanical gardens dedicated to the study and promotion of the native plants and habitats of the Southern Appalachians, are a few minutes’ drive from Grace. The nearby Grove Park Country Club and the Country Club of Asheville provide area residents with world-class golf, tennis and gym facilities. Families with children have several school choices in or near Grace, including Ira B. Jones Elementary School, Claxton Elementary School, Asheville Catholic School, Hanger Hall School for Girls and Odyssey School. For a personally guided tour of the Grace neighborhood, or for more information on real estate here or anywhere in Asheville, please contact Mike Figura at Mike@MyMosaicRealty.com or call him anytime at (828) 337-8190. Nowhere is the booming growth of Asheville more evident than in eclectic West Asheville. 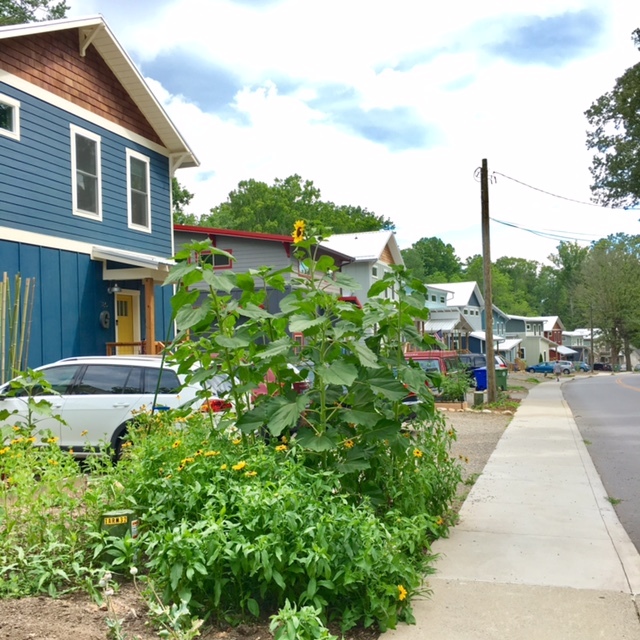 Home to hip stores, renowned restaurants, a vibrant music scene, and every type of residence, from quaint bungalows to vertical green builds, West Asheville continues to draw a wide range of fans to its whimsical, walkable neighborhoods. Slicing through West Asheville is the vibrant thoroughfare of Haywood Road, the area’s main artery for more than 100 years. Mom-and-pop shops stand alongside an influx of newer businesses – everything from retro arcades to artist co-ops to bike and skate shops to music halls have found their way to Haywood. Even with the seismic shifts the street has seen, it still retains a small hometown air. Residents of the many West Asheville neighborhoods that border Haywood can, in mere minutes, walk to restaurants, bars, grocery stores, schools, parks and other amenities – making it all the easier to truly experience the area’s energy and sense of community. · Falconhurst: Located north of downtown West Asheville, bordered on the east by Louisiana Avenue, on the south by Haywood Road, on the west by Mitchell and Druid avenues, and on the north by Patton Avenue, Falconhurst has continued to develop as an attractive neighborhood for families. In recent years, Falconhurst has become a more active community, thanks to the formation of a community garden by local residents. · East West Asheville: Encompassing the area between I-240 and the French Broad River, East West Asheville indulges the greenway and park lover with easy access to the French Broad River Park and Greenway as well as Carrier Park. Homes perched along the periphery boast views of the Biltmore Estate across the river. Also nearby is Hall Fletcher Elementary School. · Malvern Hills: This neighborhood, bordered by Bear Creek Road on the east, Wendover Road on the south, and School Road on the north, has just over 200 houses within its boundaries. It has three community-maintained landscaped islands, one with a rose garden, where residents congregate during neighborhood gatherings. The architecture is a pleasant mix of larger, stately 1920s homes, small bungalows, brick tudor cottages, and mid-century ranch houses. · Horney Heights: This neighborhood surrounding the Malvern Hills swimming pool and tennis courts represents the quintessential small-town, tight-knit community. Populated primarily by cottages and bungalows, Horney Heights offers great access to West Asheville’s many restaurants and bars, a public library, and Vance Elementary School, but feels worlds away from the hustle and bustle. 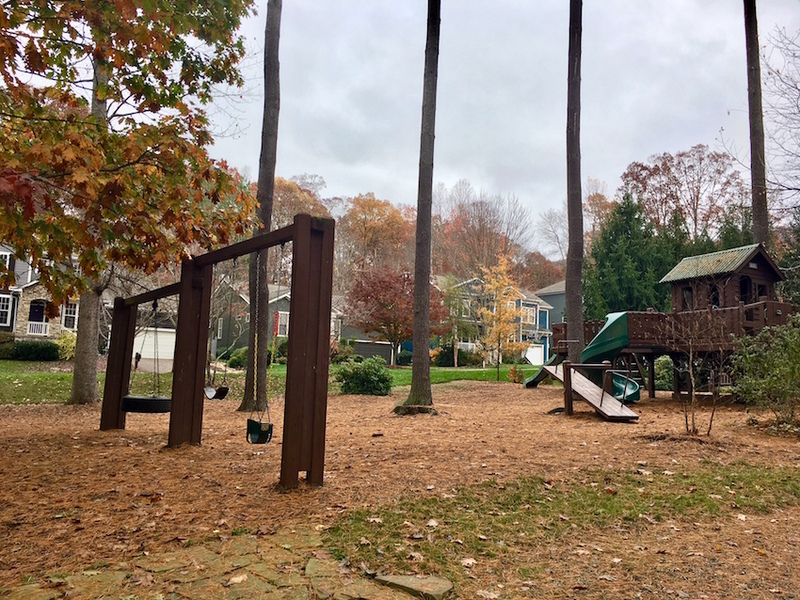 · Morningside Park: Loosely encompassing the Morningside Drive loop, and with easy access to I-26 and I-40, Morningside Park boasts a mix of bungalows, new green builds, and stately brick homes. 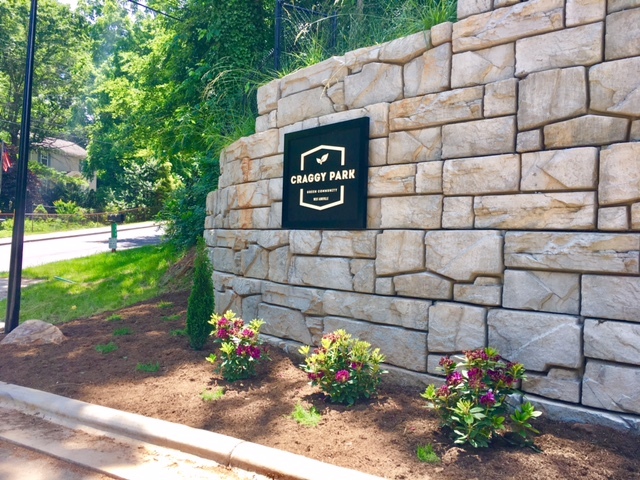 West Asheville Park and ball field are a short walk away.
. Craggy Park is a new sustainable community in urban West Asheville, just North of the Haywood Road business district. It consists of 45 new Energy Star certified JAG Construction homes in a low impact development. The community uses a clustered home site plan in order to create community gathering spaces and to preserve green spaces. Community amenities include a fire pit, community garden, little free libraries, lawn near a stream and walking trails. As of summer 2017, the first few homes will be hitting the market. 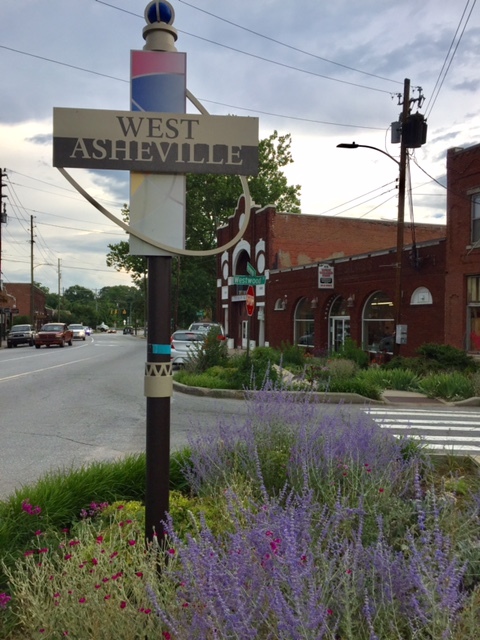 · West Asheville Estates: This neighborhood, bisected by the wide and welcoming Vermont Avenue, gives residents easy access to both Brevard and Haywood roads. Francine Delany New School is also located here. For a personally guided tour of West Asheville, or for more information on real estate here or anywhere in Asheville, please contact Mike Figura at Mike@MyMosaicRealty.com or call him anytime at (828) 337-8190.